This blog post is reflecting how the process was made in early 2014, and has since then been replaced with built-in tools in ADConnect. 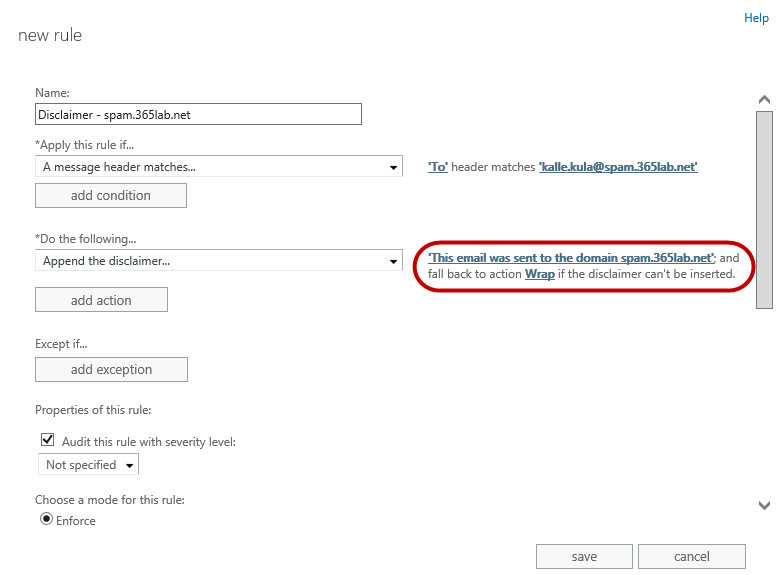 Some time ago Johan wrote a post about how to convert a federated domain to a standard domain in Office 365. Much has happened since, and one feature that has been added is to synchronize the passwords between on-premises Active Directory and Office 365. An important reason to implement ADFS and federation is to keep all user passwords the same, to reduce support and Helpdesk calls. The drawback is that a high availability server (or even better, an ADFS farm distributed over several locations) is needed on-premises. If your internet connection is dropping, no-one will able to access Exchange or SharePoint even though it is located “in the Cloud”. Now when Password Sync is available, some organizations choose to retire their ADFS servers to implement Password Sync instead. It is now possible to have the same password in all systems without those high availability servers. The process to move to a non-federated state with Password Sync is similar to how Johan described the process, but to minimize the service interruption for your end-users there are a few things to think of. All steps below are performed on the server hosting the Azure Active Directory Sync tool. First of all you need to upgrade to the latest version of Azure Active Directory Sync tool. The upgrade process is simple; just uninstall the old version and install the new one. The installation may take a few minutes. Make sure that you check the Password Sync option during installation. End by running the Configuration Wizard. Check the Synchronization Service Manager (miisclient.exe) to make sure that the synchronization was successful. You may have to log off and log in again to be able to access Synchronization Service Manager. #for the end-users until all passwords are in in sync. #This is where we change our federated domain to a standard domain. #This command generates a text file with new random passwords for all users. #In the next step we will replace these passwords with passwords synced from AD. Now all users are converted. A file with new temporary passwords for each user is saved to the path you specified, but we will not use it. Instead, we now have to initialize a full password sync. To see the status of the password sync you should check the Application Log in Event Viewer for event id 657. When all passwords are synchronised the users will be able to access their services again. This will take a few minutes depending on the number of users in your environment. This entry was posted in Office 365 and tagged ADFS, Azure Active Directory, Federation, Office 365, Password Sync on January 16, 2014 by Andreas Lindahl. After migrating to Office 365 it can be hard to communicate the new webmail addresses to all end-users. Especially when performing a cut-over migration all users suddenly need to be informed about the new address to use. Office 365 uses many different host names, for example portal.microsoftonline.com and login.microsoftonline.com, both taking you to the portal page where users can access all services or download desktop software. But you still have to use the Outlook link in the portal page to access your mail. How can we make this simpler for the end-users? If your tenant is set up with ADFS you want to use the address outlook.com/yourdomain.com. 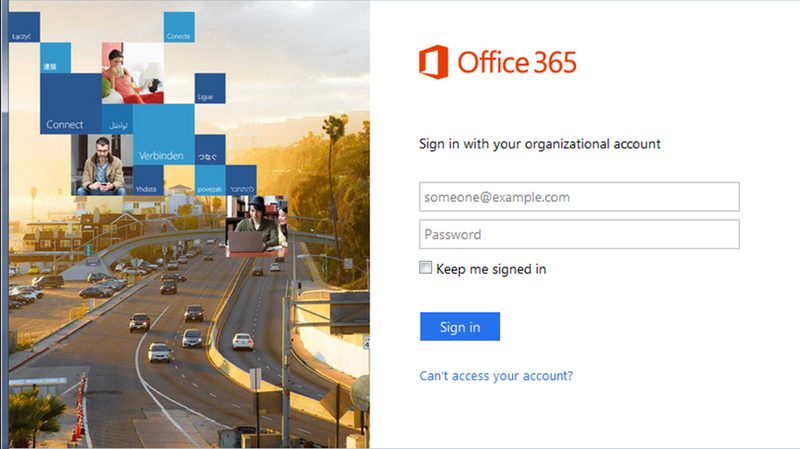 This automatically logs you on directly to the webmail using your domain credentials, allowing single sign-on to Office 365. Unfortunately with a custom domain this can only be achieved using a local web server that handles the redirect to the correct web page. So, what to do then? I don’t want to set up a web server just to handle a redirect. Luckily there is an easy workaround to this: Use DNS to create a CNAME (for example mail.mydomain.com) that point to mail.office365.com. This presents a login screen for the users, and they will then be logged on directly to the webmail page. If you are using ADFS the users must check the “Keep me signed in” checkbox to handle single sign-on in the future. This entry was posted in Exchange Online, Office 365 and tagged Add-DnsServerResourceRecordCName, cname, custom domain, Office 365, webmail on January 6, 2014 by Andreas Lindahl. Stumbled upon an ‘issue/feature’ with mail flow rules (transport rules) that I’ve encountered before a couple of days ago and thought it was a good idea sharing. The ‘issue’ do of course apply to Exchange On premise environments as well. 1. 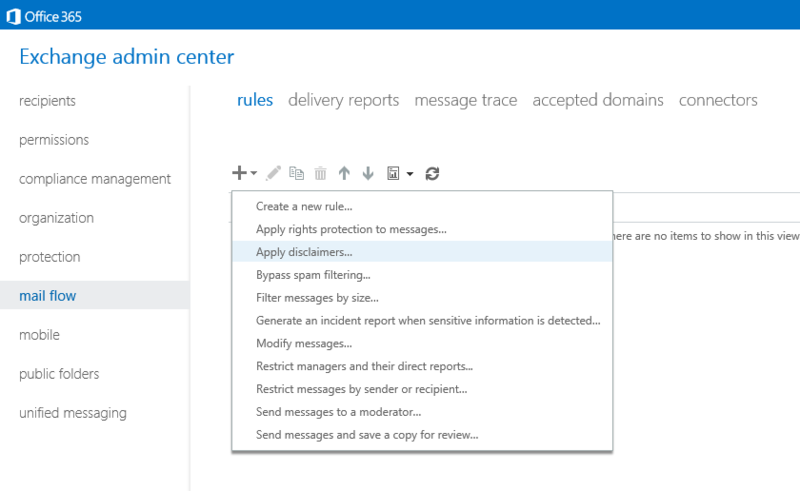 In Exchange Admin Center, under mail flow -> rules, create a new dislaimer rule. 2. To be able to do more granular selection and actions, click “More Options” in the bottom left corner. 3. Then create your rule with the following options. Add your disclaimer and set fall back action. The only thing you need to do now for the policy to be applied on future emails is to choose mode: Enforce, save it and you’re done! If you want to check whether a rule has been used or not, you can use EAC as well. 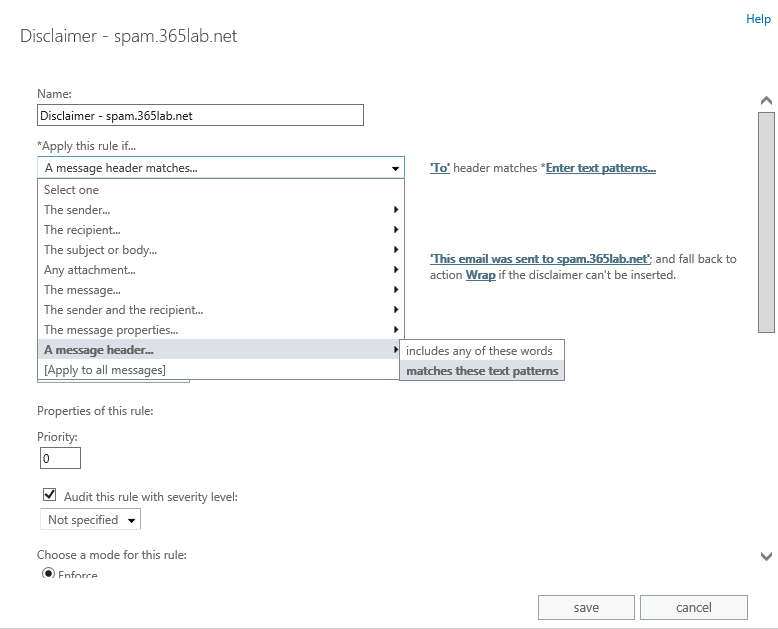 Further documentation on mail flow rules (transport rules) you find on http://technet.microsoft.com/en-us/library/dd351127(v=exchg.150).aspx. This entry was posted in Exchange Online, Office 365 and tagged alias email address, disclaimer, exchange admin center, Exchange Online, Mail flow rules, New-TransportRule, Office 365, powershell on January 2, 2014 by Johan Dahlbom. Using DirSync in combination with Office 365 / Windows Azure Active Directory is great. It automates user creation and makes you able to master all user creation changes from on premises. This can be done both in the portal or with PowerShell. In my case we want to assign Office 365 licenses based on a local AD attribute of your choice fully automated and minimal input. We also want a bit of logging so we are able to find and fix errors as easy as possible. Also, if a user has a valid license assigned, the boolean IsLicensed will be set to True. The ‘Licenses’ attribute contains “tenantname:LICENSESKU”, which in my case above is “mstlegacy:ENTERPRISEPACK” for an E3 license. So, when assigning a license with PowerShell we need to know the SKUID of the particular license we are using. We can also disable specific parts of a license, for example SharePoint when we assign the license. More details about ‘manual’ PowerShell assignment of licenses in Office 365 you’ll find here. My script activates Office 365 users based on the AD attribute of your choise. It requires you to populated the AD attribute with a string that identifies the license type for the particular user. Default AD attribute used in the script is employeeType. 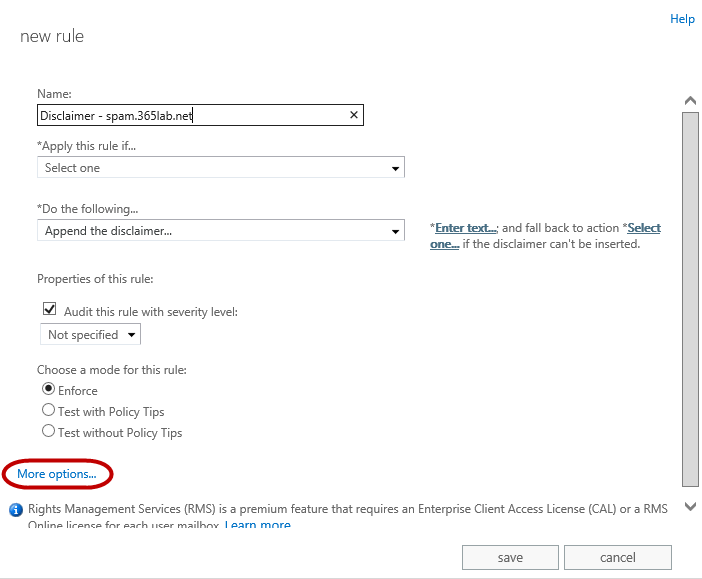 In case the AD attribute Country is populated in your AD, it will automatically use that attribute to populate UsageLocation of the user in Office 365, otherwise it will default back to the parameter $DefaultCountry. It will log all changes and errors to the logfile MSOL-UserActivation.log within the same folder you run the script. As a preparation have to change the default value of $AdminUser parameter or use the parameter -AdminUser to an actual adminuser of your tenant. On first use it’ll then ask you for the password and then store encrypted with DPAPI to a file in the same folder where you run the script. This so you can run without user interaction in the future. After you’ve finished with the first time configuration, you are ready to actually start assigning licenses. As seen above, 2 unlicensed users were found in Office 365, but only one of them had the required local AD attribute (employeeType in this case), set to ‘E3’. I also go two errors since I didn’t have any K1 or K2 licenses in my tenant. In the above example we found one user to activate, but with the switch -MasterOnPremise we looked in to our local ad instead checking Office 365 for unlicensed users, and reported back to the attribute when the license was successfully assigned. This can be useful if you for some reason have a lot of unlicensed users in Office 365 that you intend to keep that way. Note: Since the -MasterOnPremise function writes back to your AD, the account that runs the script will in that case need write permissions to that AD attribute. In order to make this fully automated, you will also need to schedule this as a task that runs (preferably) as often as your DirSync goes which by default is every 3 hours, an article on how to do that is here. I’ve been running the script for a while and it works very well, of course some parts can be done more efficient. If you find any bugs or other issues, let me know! $TimeDate = Get-Date -Format "yyyy-MM-dd-HH:mm"
Throw "Module $name is not installed. Exiting..."
LogWrite "Info: $NumUsers user(s) to activate with $SKU"
LogWrite "Info: Trying to assign licenses to: $UPN"
LogWrite "Info: $upn successfully licensed with $SKU"
LogWrite "Error: Failed to license $UPN with $SKU, please do further troubleshooting"
LogWrite "Info: $NumUsers unlicensed user(s) in tenant: $($SKUID.ToLower().Split(':')).onmicrosoft.com"
LogWrite "Info: $i user(s) was activated with $license ($SKUID)"
LogWrite -Logstring "**************************************************`r`nLicense activation job started at $timedate`r`n**************************************************"
Throw "You don't have write permissions to $logfile, please start an elevated PowerShell prompt or change NTFS permissions"
LogWrite "Error: Could not Connect to Office 365, please check connection, username and password.`r`nError: $err"
LogWrite "Error: No licenses specified, please specify a supported license`r`nInfo: Supported licenses are: K1,K2,E1,E3,A1S,A2S,A3S,A1F,A2F,A3F!" LogWrite "Error: No $license licenses in your tenant!" This entry was posted in Office 365, PowerShell and tagged dirsync, Get-MsolUser, Licenseassignment, Licenses, Office 365, powershell, Set-MsolUserLicense on December 30, 2013 by Johan Dahlbom. A couple of my customers have been running in to this issue lately, so I thought it was a good idea to share the issue with you guys. After running Hybrid Configuration Wizard in Exchange 2010/2013 you experience intermittent issues with incoming emails from the internet (Messagelabs). If you dig further down to the issue you come to the conclusion that it only happens when you receive emails from certain ip subnets that Messagelabs are using. 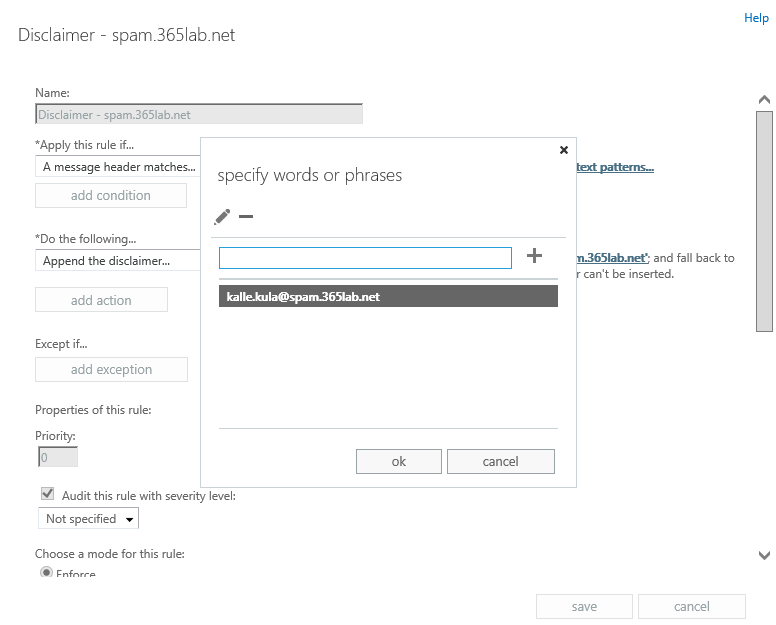 As part of the Hybrid Configuration Wizard process, a receive connector named “Inbound from Office 365” is created. 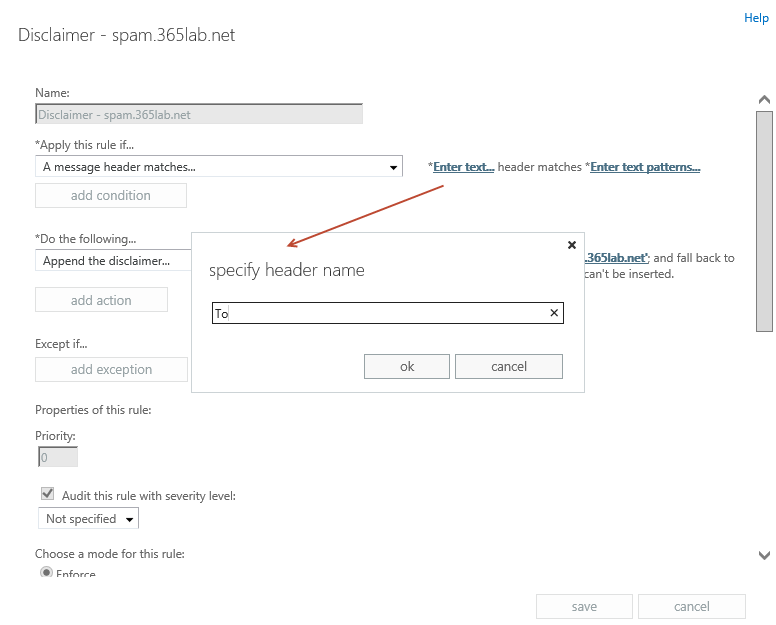 The purpose of that receive connector is to enable a secure mail flow directly from Office 365. For that reason, the connector is configured with the setting RequireTLS set to True . It also configures a set of remote ip ranges that the connector accepts (public Office 365 IP-ranges). And it was here I came across the actual cause to this issue. HCW are adding a remote ip range that overlaps with the public IP-ranges Messagelabs are using. This in combination with the fact that Messagelabs obviously doesn’t fully support TLS, makes this issue happen. I confirmed this both with the transport logs and in Messagelabs documentation (http://images.messagelabs.com/EmailResources/ImplementationGuides/Subnet_IP.pdf). The overlapping subnet is 67.219.240.0/20. Looking further into the documentation Microsoft have on this at http://help.outlook.com/en-us/140/gg263350.aspx, you find out that the subnet 67.219.240.0/20 isn’t there. That is also confirmed by doing a whois on the subnet (http://www.whois.net/ip-address-lookup/67.219.240.0) – this subnet does not belong to Microsoft. That means it should be perfectly safe to remove that subnet from the receive connector, and I can confirm that it hasn’t created any problems in the cases I bumped in to. The better solution is to just remove the subnets from the receive connector, and it should be perfectly safe to do this since no emails from Office 365 will arrive that way. Hope this helps you out if you are running in to this issue! This entry was posted in Exchange Online, Office 365 and tagged exchange 2010, exchange 2013, Exchange Online, hcw, hybrid, hybrid configuration wizard, messagelabs, Office 365, receive connector on December 25, 2013 by Johan Dahlbom. UPN’s are a nice way for our users to remember their usernames. A UPN essentially has the same format as an email address. Rather than having users login to their workstations or intranet resources as CLOUD\Username, they can login as user.lastname@cloud.com which can be the same as their email address. When moving to Office 365 and are using DirSync with or without ADFS, your users need to have a UPN with a public routable domain in it. The easiest and most logical way to do that for your users sake is to keep UPN and primary email address the same. There are of course a lot of different solutions out there for achieveing the above, many of them include PowerShell and csv-files. My solution is based on PowerShell and are utilizing either Exchange Powershell cmdlets or Active Directory cmdlets. The below example is a very quick one that you run in Exchange Management Shell in Exchange 2007 and above. It simply copies the “WindowsPrimaryEmailAddress” for all your user mailboxes to the userPrincipalName attribute, without any question. I had a case where the customer was running Exchange 2003, but had 2008R2 domain controllers. The customer also wanted a log file with the old and the new UPN after the change had been done. The script utilizes the ActiveDirectory module for PowerShell and copies the primary email address from the proxyAddresses attribute. Running the script without any switches makes it run in test mode and do the AD-changes with the -WhatIf, so no changes will be done here. Running the script with the switch -Production makes it do the actual changes. For backup purposes, the script are also creating a log file with the old and new attribute in the same folder where you run the script. Script that copies the primary emailaddress from proxyAddresses to the userPrincipalName attribute. It runs in test mode and just logs the changes that would have bee done without any parameters. It identifies an exchange user with the legacyExchangeDN-attribute. Runs the script in production mode and makes the actual changes. $DateStamp = Get-Date -Format "yyyy-MM-dd-HH-mm-ss"
throw "Module ActiveDirectory not Installed"
Write-Host "Info: User $($object.UserPrincipalName) are already OK!" Hope the above was helpful to you, please let me know if you have any questions! This entry was posted in Active Directory, Office 365 and tagged dirsync, exchange, Office 365, powershell, proxyaddresses, upn, userprincipalname, windowsemailaddress on December 25, 2013 by Johan Dahlbom.